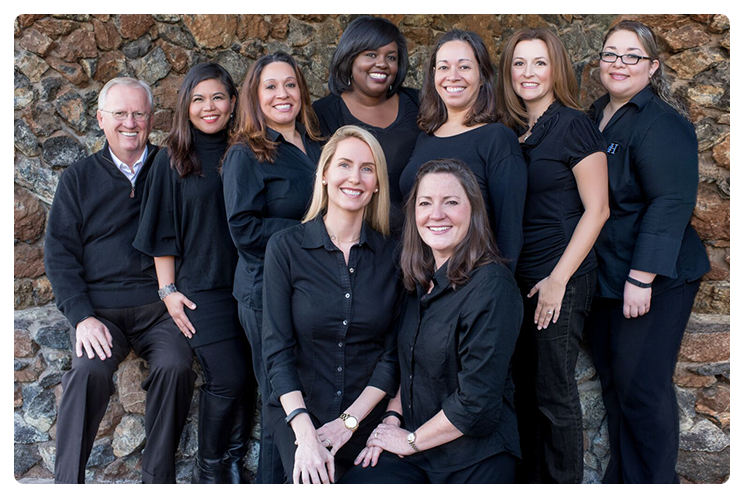 The Palo Alto Dental Team Bring World Class Smiles To Our Patients! We build a foundation of trust by treating our patients as individuals. We understand how uneasy some patients may feel about their dental visits. We can make a difference by providing a relaxing and positive experience. Our entire dental team is dedicated to providing you with excellent, personalized care and service to make your visits as comfortable as possible. We thank you for allowing us to take care of your dental needs and look forward to serving you. Since a smile is one of the first things people notice, we will listen to your goals and desires and work with you to give you the smile of your dreams. Take a look at our website to learn more about the general and cosmetic dentistry we provide for our patients. We look forward to meeting with you. A high standard of excellence in personalized dental care enables us to provide the quality dental services our patients deserve. We provide comprehensive treatment planning and use restorative and cosmetic dentistry to help you achieve optimal dental health. Should a dental emergency occur, we make every effort to see and care for you as soon as possible. As your dental health professionals, we want you to be confident knowing that we are a team of highly trained and skilled clinicians. We pride ourselves in providing the care you need to keep your smile healthy. To give you the best possible service and results, we are committed to continual education and learning. We attend dental lectures and conventions to stay informed of new techniques, the latest products, and the up-to-date equipment that a dental office should utilize to provide state-of-the-art dental care. Both Drs. Hansen and Jurash have completed hundreds of hours of continuing dental education to stay well-informed of any changes in the field. Most recently they have completed the rigorous Kois continuum in Seattle and are studying to become instructors at the Kois Center for Advanced Dental Education. Building a foundation of trust by treating our patients as individuals is vital to our success. We understand how uneasy some patients may feel about their dental visits, and how we can make a difference in providing a relaxing and positive experience. Our entire team is dedicated to providing you with excellent, personalized care in order to make your visits as comfortable as possible. As a practice, we are true believers that preventative care and education are the keys to optimal dental health. That’s why we focus on comprehensive examinations –checking the overall health of your teeth and gums, performing oral cancer and jaw joint exams, and taking x-rays when necessary. We also know that routine cleanings, sealants, and fluoride are all helpful in preventing dental disease. Not only are we focused on the beauty of your smile, we’re also concerned about your health. A review of your medical history can help us stay informed of your overall health, any new medications, and any illnesses that may impact your dental health. Our practice is committed to doing everything we can to protect the environment. We strive to be a GREEN dental office and take every opportunity to protect our environment with digital x-rays, paperless charting, e-referral systems, as well as text and email appointment reminders. We thank you for allowing us to take care of your dental needs and look forward to serving you.